In June 2011, Replay Games announced on their blog that they had acquired a license for the Leisure Suit Larry series. Replay Games plans to re-release the titles it has licensed for Windows, Mac, iOS, Android, XBLA, PSN, On-Live, and Steam. It is also announced that Al Lowe will be involved with the development of the new releases. 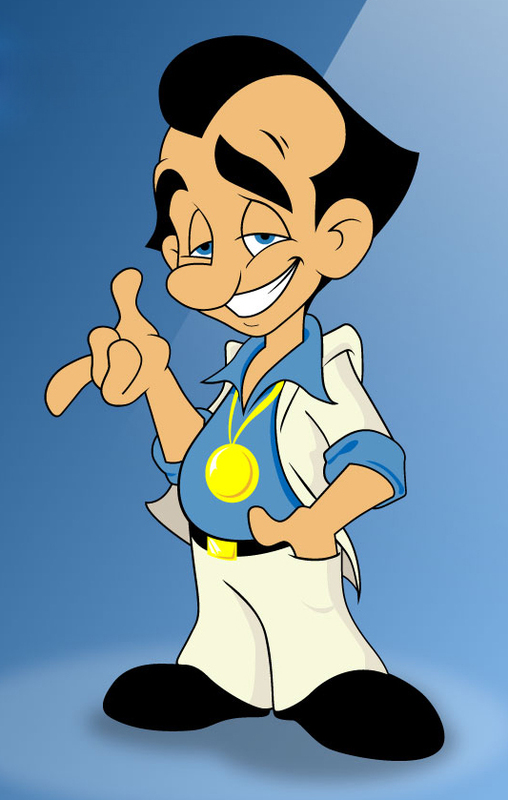 In April 2012, Replay Games initiated the Kickstarter project Make Leisure Suit Larry come again! which finished funding on May 2, 2012 and secured a total of $674,598 ($655,182 via Kickstarter and $19,416 via Paypal) in funding compared to the $500,000 that was asked for. The "HD" Version of the game has a completion date of October 2012 listed, but it might be delayed to December 2012 or early 2013 since hitting the $650,000 mark. The $650,000 mark will add more story, dialogues and one more character. Yup, they even got old Al Lowe to come back. Click on the links below. You know you want to.